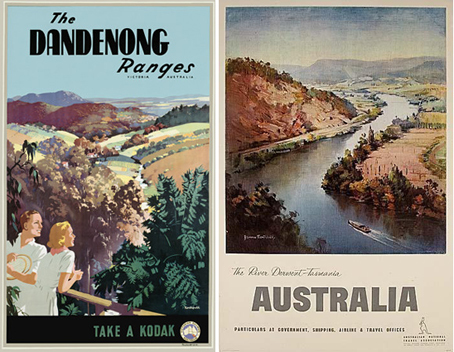 After posting the Vintage Australian images below, I started to a little research on one poster artist in particular - James Northfield. 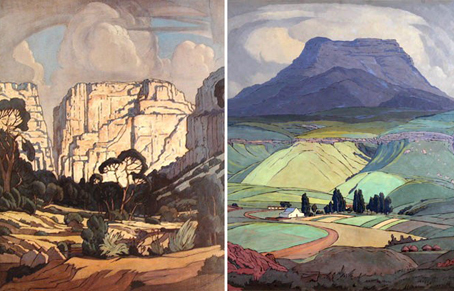 His work caught my eye because in a way it reminded me so much of a South African artist Jacobus Pierneef. Both artists were working at around the same time and so were obviously influenced by international trends in Modernism, but there is something about their capturing of the grandeur of the landscape that resonates with me.